It’s Valentine’s Day again and popular technologies executive Flynn Reynolds has received more than his share of candy from the single women employees and mother’s of marriageable age daughters. His best friend Greer Sheen thinks it’s funny that every year Flynn has to lug a ton of chocolate home from the office. Usually foreigners don’t get this much attention in Tokyo! But Flynn isn’t just anybody. He’s the youngest son of the richest American man in Japan. They both get the surprise of their lives with a young Japanese man appears and presents a box of candy to Flynn. Straight laced Greer is shocked that a guy has offered his heart to Flynn, even though Flynn has professed to be gay. Greer just thinks it’s a phase Flynn is going through. After all, Flynn had married a woman and had a son, but he could be wrong, especially since Flynn looked completely enamored by dark-haired, dark-eyed guy who was brave enough to show up with sweets. Would Flynn be foolish enough to risk his reputation and cause an international scandal in Tokyo? This was a cute story. You could see how flattered Flynn was and Chiriro’s pure interest and how much he has invested his heart before they even met. I am still thrown on the traditions and expectations of the culture and haven’t felt they have been well described for me. I really liked seeing these two go with their feelings despite what any around them may say or do. The only thing that I had an issue with is Flynn would refer to himself as bisexual in one sentence and then gay in the next like he couldn’t decide either way. 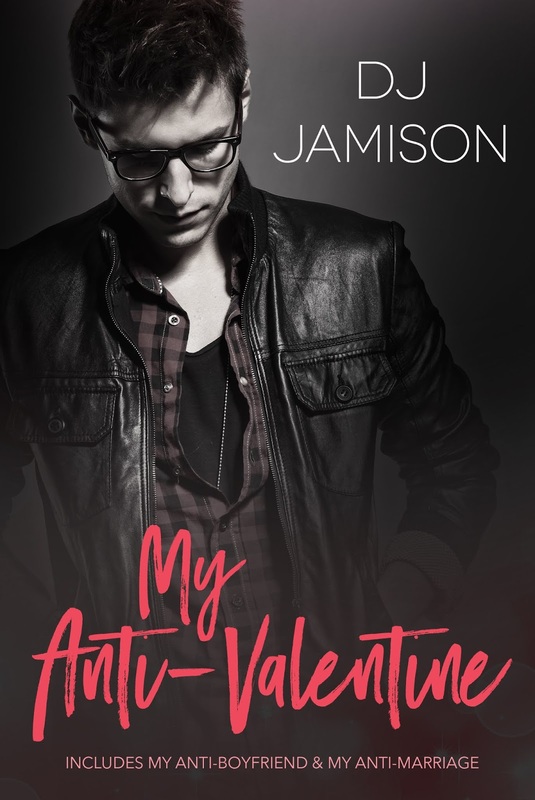 The cover art by E Keith is cute and is perfect for a Valentines story. This entry was posted in Books, Contemporary fiction, eBooks, LGBTQ Book Reviews, M/M Book Reviews, M/M Contemporary Fiction, M/M Fiction, m/m holiday stories, M/M Romance and tagged An Alisa Review: Please Be Mine by Shawn Bailey, M/M Valentine's Day Story, Painted Hearts Publishing, Please Be Mine by Shawn Bailey. Surprisingly Letters From Cupid was the first book I read by Ari McKay. This is actually a second edition but I haven’t read the previous one so I am not sure how much the story was revisited. Derek has just been left by his boyfriend, he’s a little depressed especially because Valentine’s Day is approaching but he is well aware his ex boyfriend wasn’t the right person and Derek wasn’t really in love with him. Now he is single and some days before Valentine’s Day he finds a letter from Cupid in his office at the University he works as an English professor. From that moment a correspondence between Cupid and Derek begins. Macon teaches creative writing at the same University, he is a reserved man, the hermit of the English department. Until one night a flat tire will bring him to know Derek, his neighbour of offices. And between a chat, a coffee and a croissant, the crush is assured. I liked the writing style a lot, I was caught in the story since the first words I read and it was a quick and easy. I liked the double POVs, I followed the MCs thoughts and wishes and it was a beautiful journey. I found the novellas cute and sweet, I loved how Derek and Macon met, and I adored the final part, to know a little more of what happened to them was perfect. I feel to recommend Letters From Cupid by Ari McKay, it’s the right story to read on this Valentine’s Day or any other day you want. I’m surely going to check out more stories written by these two authors. The cover art by Bree Archer is adorable. I love it. This entry was posted in Book Reviews, Books, Contemporary fiction, Dreamspinner Press, eBooks, LGBTQ Book Reviews, M/M Book Reviews, M/M Contemporary Fiction, M/M Fiction, m/m holiday stories, M/M Romance and tagged A Stella Recommended Story, A Stella Release Day Review: Letters from Cupid by Ari McKay, author Ari McKay, HEA M/M contemporary romance, Letters from Cupid by Ari McKay, M/M Valentine's Day Story. Mario Tellez is tired of party boys, and he’s had his eye on Tom for a while. When they run into each other at the Ex-orcism, sparks fly, until an accidentally overheard conversation drives Tom to do something he normally doesn’t do. We meet Tom and his sister as soon as the story starts. It gives us the opportunity to learn about Tom’s past relationship, his job, and his family history. As well as his social life and some of his insecurities. The exorcism part sounds childish, but we get to understand why it came about as it happens. Tom and Mario met during an odd confrontation during the party, but in the end, it worked for them. They are the kind of couple that would have a story to tell their grandkids when they ask how they met. We get to see the worst of them just minutes after they talked for the first time, but their flirty demeanor creates a connection between them. Their one night stand is sensual until life happens, starting the chain of events that would eventually bring them together. Their relationship develops off-page, and we move to a point in which they’re finding their footing as a couple. Like every short story, it moves quickly over time, until they start having some problems in their relationship. But as with any good romance, we get a delightful reconciliation and a fulfilling happily ever after. Love and the Exorcism is a lovely Valentine’s short story. Perfect for a quick fix of romance between longer books. It’s sweet, easy, and it has a simple, but believable story line. The main characters are cute and quirky together. They are happy and realistic. Most importantly, they have insecurities any young gay men could possess. Their background stories were not happy ones, but they learned to overcome them and became productive men. There’s no trauma dragging them down and making them miserable. This book is all about their love story and how Mario and Tom get to know each other and move forward after their first problem as a couple. My only complaint would be about what caused the problem on Mario’s side. I think the characterization of those involved was stereotypical and felt out of place in such a sweet story. It takes the reader completely out of the “feels zone.” Other than that, I believe the author delivered a nice romance. A beautiful cover by Bree Archer. It goes well with the Valentine’s Day story and Tom’s job and character. This entry was posted in Book Reviews, Books, Contemporary fiction, Dreamspinner Press, eBooks, LGBTQ Book Reviews, M/M Book Reviews, M/M Contemporary Fiction, M/M Fiction, m/m holiday stories, M/M Romance and tagged A Lila Recommended Story, A Lila Review: Love and the Exorcism by Melanie Hansen, author Melanie Hansen, Love and the Exorcism by Melanie Hansen, M/M Valentine's Day Story. 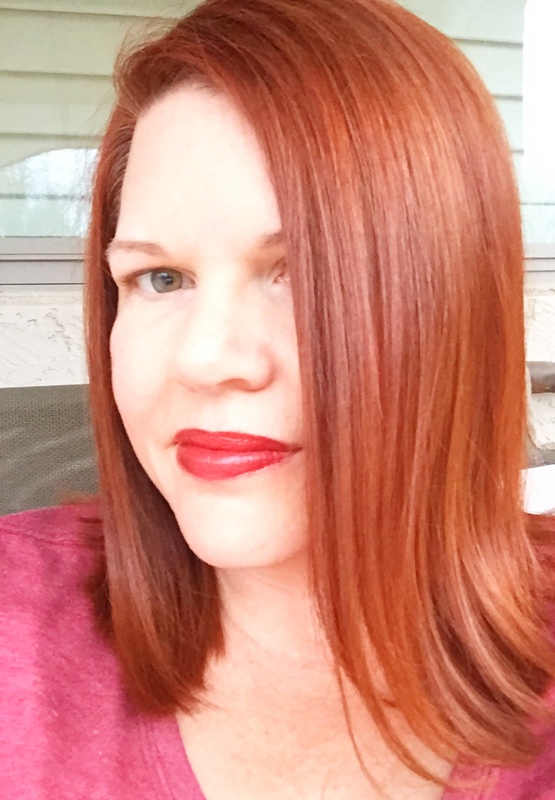 Scattered Thoughts and Rogue Words is happy to have Melanie Hansen here today to share her thoughts, delicious as they are, about Valentine’s Day, how to throw a anti-Valentine’s Day party, and some thoughts on her story, Love and the Exorcism. Welcome, Melanie. Discount chocolate for the win! If for some reason you find yourself on the outs with Valentine’s Day again next year, consider throwing an Anti-Valentine’s Day party like Suzanne did in my story. It was cathartic for her, and bonus, it brought my heroes, Tom and Mario, together! Here is Suzanne’s Anti-Valentine’s Day Ex-orcism in all its glory, drink recipes and all. If you’re a Valentine’s Day hater too, enjoy! …and greet your guests with some theme music! …and put out some plain sugar cookies and frosting for everyone to decorate with their own anti-sentiment! While all this is going on, have a variety of the all-important alcoholic beverages available. Suzanne’s favorites, plus recipes, are below! Add all ingredients in a cocktail shaker filled with ice and shake. Strain into a chilled martini glass. Garnish with a cherry. Put the same phrases in a different order on each grid. As guests arrive, put each person’s name in a bag. Then tell everyone to wander around the party and find people to sign each square that holds true for the person signing. After everyone has quite a few signatures, start drawing names out of the bag. The first person to have 5 names in a row is the winner! Everyone can share their artwork with the rest of the guests! A prize should be awarded for the best work of art. I think it’s pretty obvious by now that I’m not a huge fan of Valentine’s Day, but I am a huge fan of happily ever afters, and I’m so glad that Valentine’s Day brought Tom and Mario to theirs. 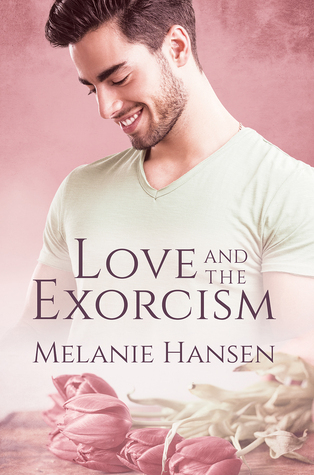 This entry was posted in Book Reviews, Books, Contemporary fiction, Dreamspinner Press, eBooks, LGBTQ Book Reviews, M/M Book Reviews, M/M Contemporary Fiction, M/M Fiction, m/m holiday stories, M/M Romance, Uncategorized and tagged A Lila Recommended Story, A Lila Review: Love and the Exorcism by Melanie Hansen, author Melanie Hansen, gay fiction, Love and the Exorcism by Melanie Hansen, M/M Valentine's Day Story.